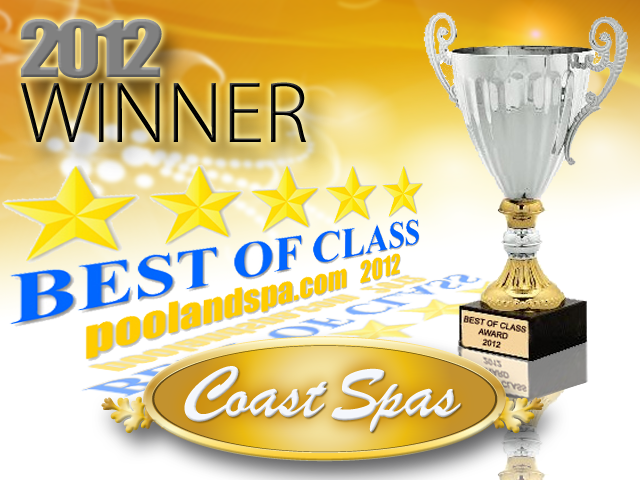 PoolAndSpa.com, a Nevada based pool and spa web site, announces the winner of their 2012 Best Of Class Awards for companies in the pool and spa industry. The award program recognizes outstanding and superior products, innovation and/or customer service in the pool spa industry. Various sources of information were gathered and analyzed to choose the winner in each category. This years’ Awards were based on a combination of factors including product inspections and phone interviews, as well as very detailed consumer input through the use of a third-party consumer survey company. Over 5000 consumers were polled throughout 2011 to the present. The 2012 Best Of Class Award Program focused on quality, not necessarily quantity. THE WINNING EDGE® – TRADEMARKED! 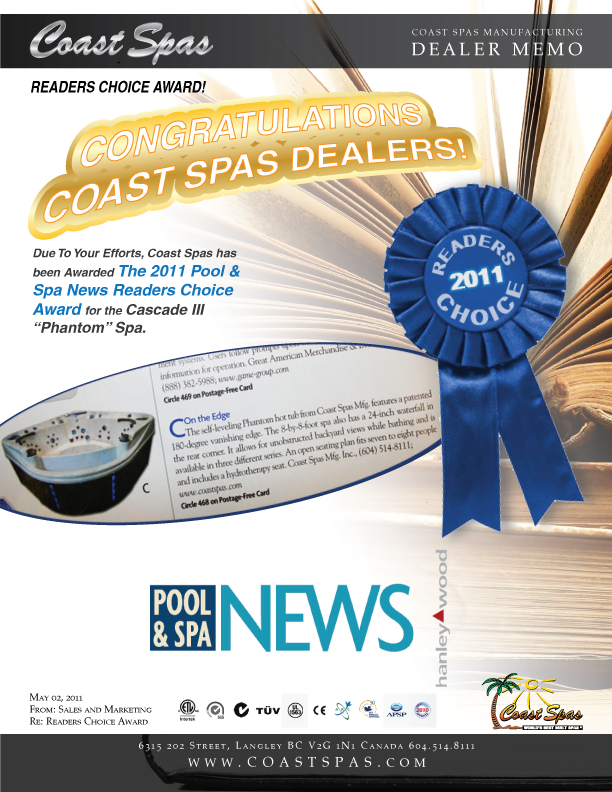 Coast Spas has recently received the trademark “The Winning Edge®” for our line patented line of vanishing edge spas! We are very please to have full rights over use of “The Winning Edge®” and will be making use of it in the near future! On behalf of all of the Coast Spas team and Dealers Worldwide we send our condolences to Leslie Nielsen’s wonderful wife Barbaree and close friends on his passing. Leslie was our Company spokesperson and very dear friend we will all miss him dearly.